Babysitting Rules #1-3, improv rapping, art, boys, and friendship. Get ready for all of that and more with Adventures in Babysitting on Disney this Summer, on June 24th at 8 PM ET! While in LA for the #CaptainAmericaEvent, we got the chance to screen Disney’s 100th Original Movie and interview the stars, Sofia Carson and Sabrina Carpenter. While I can’t share my review until this Summer, I can fill you in on a little bit more about the film! 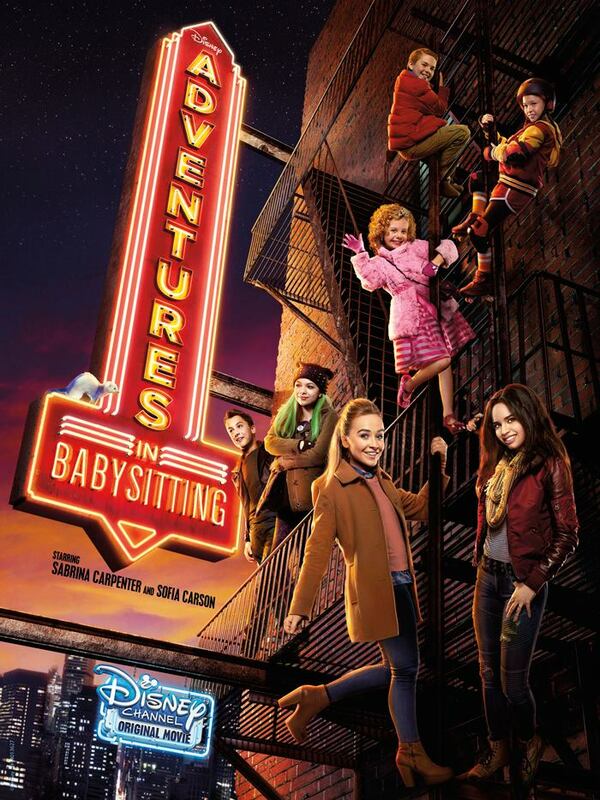 “Adventures in Babysitting,” unfolds when Jenny Parker (Sabrina Carpenter) and Lola Perez (Sofia Carson), two teen girls with distinctly different personalities, each interview for a coveted photography internship and accidently swap phones. When the Anderson family calls Jenny’s phone looking for a last-minute babysitter, audacious Lola, in need of some extra cash, picks up and nominates herself. Meanwhile, dependable Jenny is already set to babysit the Cooper family for the evening. Unfortunately, Lola’s first attempt at babysitting takes an unforeseen turn when one of the Anderson kids sneaks out to go to a concert. Jenny, determined to protect her reputation, and Lola with the remaining kids in tow, head out and have the adventure of a lifetime during one magical night in the big city. I can see lots of tweens, teens, and families loving Adventures in Babysitting on Disney Channel. I will probably be watching it again with my teenage daughter because she’s a huge fan of Sabrina Carpenter on Girl Meets World. Keep in mind that Adventures in Babysitting on Disney Channel is not a sequel to the 1987 Adventures in Babysitting, so don’t expect any surprise Elisabeth Shue appearances. This is more of a modern spin to a similar storyline and a few moments that reminded me of the original film, like the kids sneaking into the fancy party their parents are at. 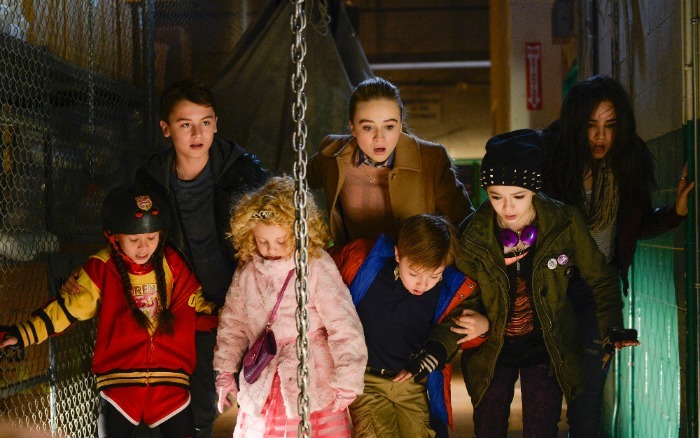 The cast of Adventures in Babysitting on Disney Channel includes Sabrina Carpenter (Girl Meets World, Austin & Ally, Sofia the First) playing Jenny Parker, the responsible and dependable babysitter. Jenny is an overachiever and focused on getting good grades and rounding out her resume with a coveted photography internship to get into college. The neighborhood’s go-to babysitter is looking after the Cooper family on a dull evening that turns into an adventure in the city. The other star is Sofia Carson (Disney’s Descendants, Austin & Ally, Faking It) who plays Lola Perez, a spunky free-spirited teen with a passion for art and photography. The first-time babysitter is responsible for the Anderson family, but when the eldest one sneaks out to go to a concert, she must venture into the city to find him. Then we have The Anderson Family, including Trey played by Max Gecowets, Bobby played by Jet Jurgensmeyer (The Little Rascals Save The Day, Bubble Guppies, Austin & Ally, Black-ish), and AJ played by Madison Horcher. who is a chef wunderkind on a mission to find the perfect ingredient to add to his cupcakes for his junior chef competition. AJ is the youngest child in the Anderson family. The energetic and tough eightyear-old is a devoted roller derby fan. The Cooper Family includes Emily played by Nikki Hahn (Jesse, The Fosters, Pretty Little Liars), and Katy played by Mallory James Mahoney. Emily is an introverted teenager in need of an outlet to express herself. She has a love for indie music and secretly has a crush on Trey Anderson. Katy is an adorable six year-old who is a confident fashionista with style. Clear your calendar for lots of fun when Adventures in Babysitting on Disney Channel airs June 24th at 8 PM ET! FRIDAY, MAY 20th: Digital single for “Wild Side,” the movie’s end credit song performed by Sabrina Carpenter and Sofia Carson, will be available for purchase. The Disney Channel will also premiere a lyric video for the song. FRIDAY, JUNE 3rd: An exclusive preview of the first 10 minutes of the movie will be available on the Disney Channel and Freeform Apps, as well as via Disney Channel YouTube and Facebook page. 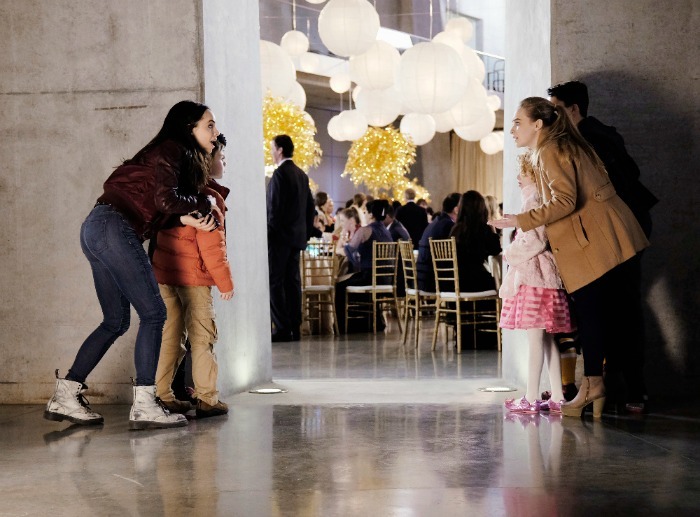 FRIDAY, JUNE 17th: Advance viewing of “Adventures in Babysitting” available on VOD, as well as to verified users on the Disney Channel app for smartphones, tablets and connected TVs. 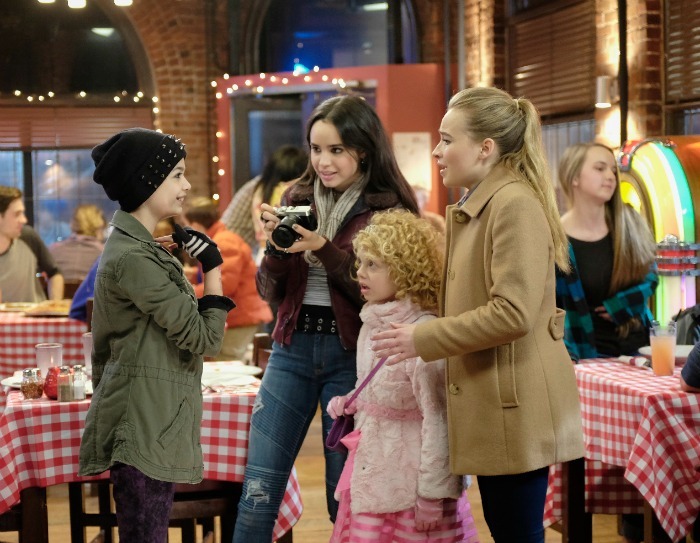 FRIDAY, JUNE 24th: Television premiere of “Adventures in Babysitting” at 8 PM ET on Disney Channel. SATURDAY, JUNE 25th: “Adventures in Babysitting” will be available for purchase on iTunes, Amazon Instant Video and Google Play. TUESDAY, JUNE 28th: “Adventures in Babysitting” will be available on DVD at retailers nationwide. The DVD includes exclusive bloopers and a complimentary magnetic photo frame!